Sloche continued in a similar mode as their first album for this, their second and unfortunately, last, album. This one is slightly more complex and polished than the first, showing they had fine-tuned their chops, but otherwise represents little change in style. The first track starts off the album in clear jazz-fusion mode, with some good solos, but it also contains a few sections with silly singing (at one point they are singing something like "diggy-diggy dog dop"!). The second track "Le Cosmophile" also contains vocals, which appear close to the start of the song, before the sax solo kicks in. There are also some choir-vocals ('ahh ahh') on the fifth track. So, note that while other reviewers have characterized this album as completely instrumental, with vocals on three of the tunes this is not correct. But the vocals are, like on the first album, only appearing for short spurts, so I can see why someone might not remember them after only one listen. I am not as keen on "Le Cosmophile", nor the silly singing on the first track. But the remaining tracks are better. "Ill Faut Sauver Barbara" shifts between slow moody Rhodes piano themes, and Zappa-inspired complexities. "Ad Hoc" combines 70s minor funk with some nice guitar lines. The fifth track ("La "Baloune" de Vernkurtel Aug Zythogala") comes closest to the weather-report-like jazz fusion, but has a few interesting twists. The last track, "Isacaaron", at over 11 minutes is the longest track on the album, and indeed the longest in the band's discography. While the shifting between many themes on this last track fragments the composition, many of these themes are, like much of the rest of the album, still quite musical. After years of putting this on, I rarely want to listen to it all the way through, mainly due to the issues with the first two tracks, and the fifth track is not quite as musical. But the highlights here are quite good. I give this album 7.6 out of 10 on my 10-point scale, which translates to 3 PA stars. A number of great progressive bands came out of the francophone scene in 1970s Canada, often with names that evoked the wonders of interacting with our natural environment, for example 'Maneige' (my snow), 'Cano' (which sounds like canoe in French), 'Garolou' (which sort of translates as wolf guys), and here 'Sloche' (ie Slush in English ' the melting snow and ice often mixed with dirt we have to walk through every winter). Sloche only released two albums, and unlike the other bands I just mentioned, has a progressive fusion orientation. But I would not really characterize them as playing jazz fusion, especially on this album. Indeed, this is pretty diverse music, shifting among quiet piano parts and RPI baroque-ish segments, through synth-laden Tangerine electronica, Zappa-like RIO interludes, 70s funk, Canterbury-esque keyboard solos, bluesy electric guitar solos, Gentle Giant-like quirky parts, and ELP-like organ themes, all wrapped within an easily identifiable 70s francoprog sound. This album, their first, is also the more rock-oriented of the two, with vocals on every track (although the vocals are pretty sparse, and on the last track are only in the form of background choir). After multiple listens, I prefer this first album to their second album 'Stadacon', as I think it is more musical and fits together better than that album (I will post my review of that in a second). Every track here on the first album is great, musical, and completely distinct. I still enjoy listening to this album all the way through after years of listens. The first track 'C'Pas Fin Du Monde' (in English 'It is not the end of the world') starts off the album in a great way with some compelling synth-washes before introducing the main themes of the album and the vocals. The second and longest track, 'Le Kar'me D'Eros', begins with three minutes of excellent unaccompanied acoustic piano that is very nice. I also like the looser guitar and organ solos in the middle of this track. The third track, 'J'Un Oeil' ('I'm an Eye' in English), is a short and more typical francoprog rock tune, but quite musical. The fourth track 'Alg'brique', moves between quiet and thoughtful introspective jazzy sections, complex Zappa-like interludes, and quirky 70s funk with a silly 'strudel ping' vocal. I really like the second half of this piece ' reminds me of Roxy-era Zappa. The last track 'Potage aux herbes douteuses' wraps up the album very well, with both some faster odd-signature playing and a nice choir vocal. This is one of the often-overlooked gems of the 70s Quebec scene, and one I still listen to often. I give this 8.3 out of 10 on my 10-point scale, which translates to 4 PA stars. This is really essential stuff. Not only for fusion-lovers, but also for Canterbury-scene-enthousiast, because the music reminds me a bit of Caravan and Soft Machine but also Kraan and Gentle Giant. There's not much guitar (except on Ad Hoc, wich is mostly a rock-song), but loads of keyboards (hammond, clavinet, rhodes), drums/percussion, bass and saxophone. The music is mostly instrumental and has lots of rhythmic chances but it all flows so naturally, that it's disturbing. The songwriting and musicianship is impeccable. A real must-have for lovers of Canterbury, jazz/fusion, instrumental sympho/progrock and light psychedelica. 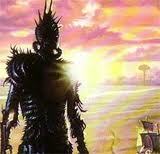 The Québec-progscene really delivered some of the greatest bands in the 70's (Sloche, Maneige, Harmonium). Great stuff and they can hold their own in comparison to the Krautrock and Canterbury-scenes. If you like songs which reserves in anytime the bigger surprises, certainly you will feel a great pleasure when you hear this album, still more if you are fan from GENTLE GIANT, YES, CAMEL, RETURN TO FOREVER or some other jazz-rock bands ! I lament the very few number of reviews (only 14 for an 1975) album and slightly disagree from my friends of P A community which concede a superior quotation to their next album "Stadacon'" ( I think this one be fairly superior). The best tracks in the album are Track 3 "J'un Oeil" wiht a clearly introduction in GG style and the lyrics part very similar to OCTOBRE (mainly in the album "Survivance", of the same year), Track 4 "Algebrique" and their initial sequence in YES "vein" ( a "Heart of Sunrise" citation ) the very frenetic middle theme and the "cranky" final part and Track 5 "Potage Aux Herbes Douteuses' mixing GG, YES and their symphonic final with fantastic vocals ! The other 2 initial tracks also are good tracks ! My rate is 4 stars !!! 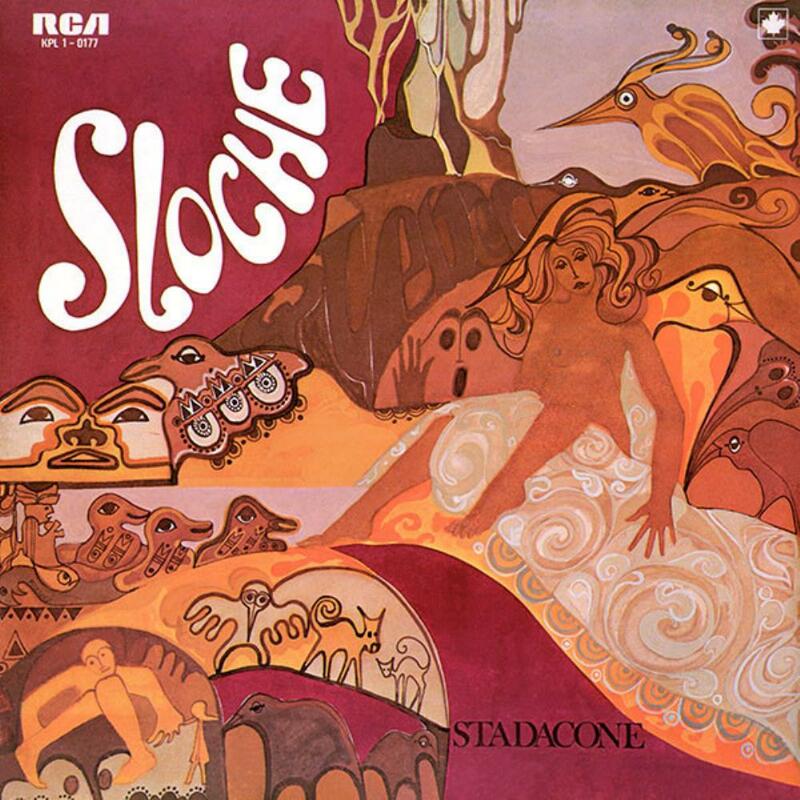 Sloche were a jazz rock fusion band out of Quebec in the seventies and they released only two albums. This one, "J'un Oeil" (I, an eye) was their first and features a band that makes excellent use of their rock side to deliver some very exciting music steeped in a strong concoction of jazz. The album opens with spacy effects and space music, nothing like what the rest of the album is going to be like. Some semblance of a tune emerges at about 1:20 and by 1:35 we get some pretty groovy music going with wah-wah guitar, bass, drums, and keyboard. This is more like what the album is going to be like: a cross between jazz rock fusion that skirts the edges of symphonic prog here and there. All the tracks include vocals yet three of them are vocals only without lyrics. Now sit back and listen to this band move and groove with organ and synthesizer solos, guitar solos, and some very lively and deliciously cooking music. Of the five tracks, four of them are longer than six minutes, the longest being "Le Kareme D'eros" at 10:56, and each of them go from section to section without coming back to repeat anything. Only the title track seems close to a normal song with lyrics that have almost as much relevance as the music. "Le Kareme D'eros" also includes a part with lyrics but it's mostly instrumental with the first 3:40 devoted to a classical piano composition. While there is much for me to be excited about with this album, the track that has won me over completely is "Algebrique". The beginning is innocent enough with two electric guitars playing slowly like a ballad while some synthesizer adds a few trippy notes. An organ comes in with some weirdo notes and then suddenly the band jumps on with a very original-sounding meter. How can I describe it without a degree musical theory? The vocal part is next and a bit weird as they sing, "Schtoo-doop, ding! Schtoo-doop, di-a-wing!" No matter the music from here on in goes into something that I can only say must have inspired bands like Wobbler and Seven Impale. There's sax and this rock out part with guitar. And all that comes down to the awesome break with drums as the main feature and I tell you, the sound of these drums is so well captured. These days I don't hear anyone recording drums like this and it's like my head is inside the tom toms. I listen to this track several times a week lately and the highlight is always this drum part. And then things get heavier and the Wobbler similarities increase. Brilliant piece of work this one is to me! But the whole album is really quite an exciting and vigorous collection of music. I am definitely going to track down their other album. A very highly recommended jazz rock fusion album if you prefer the rock side to have a firm presence. 5. "Potage aux herbes douteuses" (7:07) begins again very much like the AVERAGE WHITE BAND, shifts to a little GINO VANELLI coda, then back to the A part, coda B before shifting into second gear with a fun off-tempo section. This seems to be very much an exercise in band odd tempos, though the insidious climb up the scale is enjoyable and interesting. At 3:30 the choral enters for a different coda before the THIJS VAN LEER-like organ play takes us to an extremely FOCUS/CAMEL-like section--which then combines with the choral beautifully. Wonderful! Interesting ANT PHILLIPS-like end! (9/10). This is a fairly recent discovery of mine, thus, as I go to rate it, I take into consideration both the impact it has on me today (a bit dated and immature) as well as my imagined impact the album would have had on me in the 70s or 80s (probably like Camel's Moonmadness.) I think it is a good album that has indications of a band that could (have) evolve into a great band. Like CAMEL or FRUUPP. 3.5 stars. 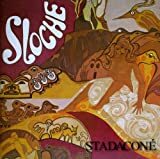 Sloche's second album is much like its first; once again, the emphasis is mainly on instrumental passages (in fact, there's no vocals at all this time around), the symphonic influences from the debut sound scaled back to me, and the style is once again fusion- oriented. I'm not as thrilled by it as it seems many others are, but I guess everyone has a few bands that they ought to like given their personal tastes but, for whatever reason, just don't "click" with them - Sloche are evidently one of mine. Once again, I won't go below three stars because I can see how others might quite like this album; if you follow the output of the Quebec scene of the late 1970s, you'll probably find it a great pick. 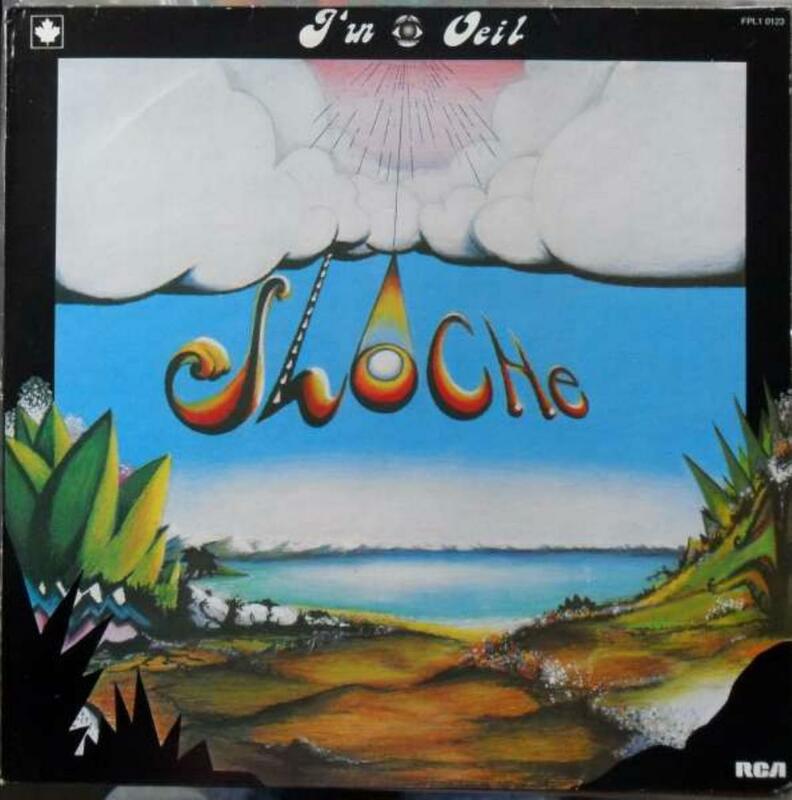 A mostly-instrumental fusion album with a few symphonic influences, Sloche's debut album is a good companion piece to fellow Quebec natives Maneige's albums from around this time. 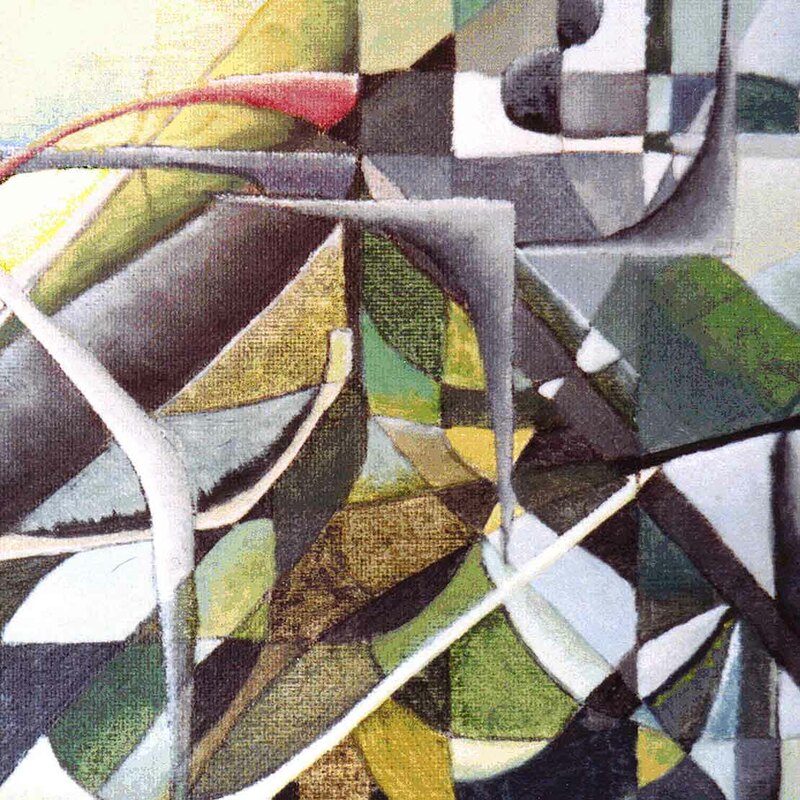 Though I personally don't find myself moved by this particular mingling of progressive rock and jazz fusion sounds to the extent I am by Maneige's work, those who are particularly enamoured of the Quebec scene of the time will not be disappointed by this album, being as it is a highly competent piece performed by one of the less famed bands from that particular hive of prog activity. Three stars, but tack another one or two on if the Quebec scene is particularly special to you.